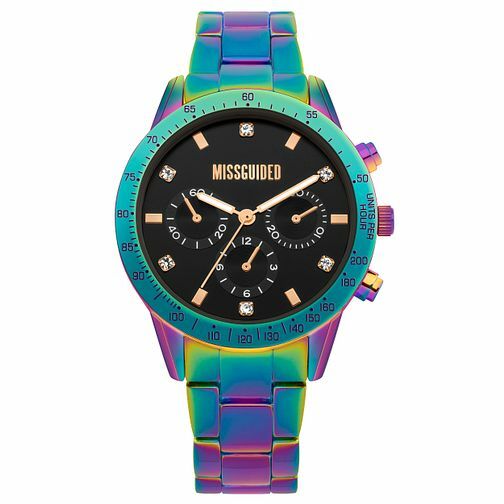 A contemporary and chic, this Missguided ladies' watch boasts a classic black multi-dial, adorned with soft gold tone accents: alternating hour markings, three hands and Missguided logo. Adding a subtle stylish shimmer, the even number hour markings are presented with glistening crystals. 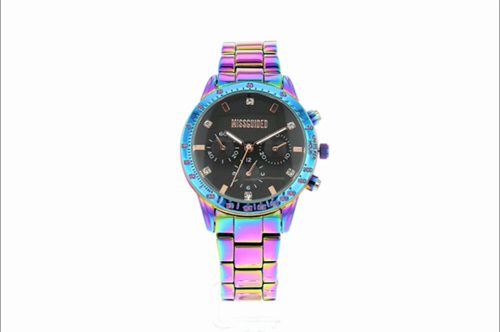 This timepiece stands out with its iridescent case and bracelet, a funky and fashionable accessory.